KARACHI: Digital transactions in the country reached a record high of Rs361.0 trillion in the last fiscal year of 2017/18, up 29.2 percent, as more customers are coming under the umbrella of digital inclusion, the central bank report said on Wednesday. Pakistan Real Time Interbank Settlement Mechanism (PRISIM) processed 1.7 million transactions, showing an increase of 54.5 percent over the previous year. “The transactions with regards to the 3rd Party customers’ transfers have the highest share of 1.3 million transactions whereas government securities settlement transactions have the highest share of Rs256 trillion in values of transactions,” said the State Bank Payment System Review-FY18. The report revealed that the role of cash in Pakistan’s economy is shrinking but not eliminating completely. “SBP is continuously taking progressive measures aimed at accelerating adoption and usage of electronic payments in the country, including implementation of policies and regulations that are conducive to both service providers and subscribers of these services,” the report said. During the year under review, 466.5 million transactions of worth Rs15.4 trillion were carried out using paper-based instruments. These transactions showed a growth of 3.3 percent in volume of transactions and 7.7 percent in value of transactions. The SBP’s report mentioned that retail payment systems generally have higher transaction volumes and lower average values than the wholesale payments systems. Retail payments usually have larger user group, any person can be a part of the retail payment system. Retail payment systems facilitate eCommerce and robust commercial activities within an economy. 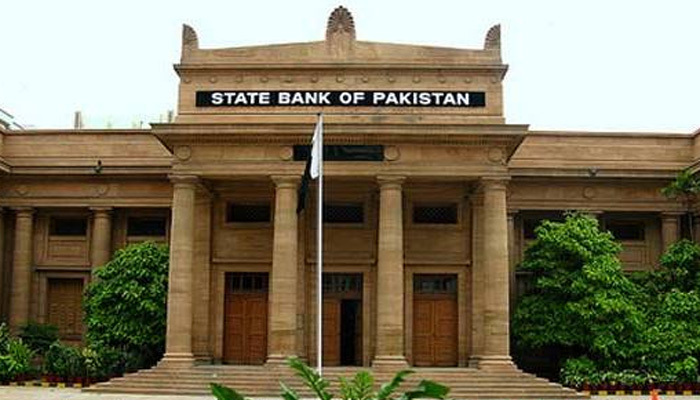 The SBP report said the e-banking infrastructure is growing in the country. During FY18, there were 32 scheduled banks, 11 microfinance banks and two specialised banks. Further, eight development finance institutions (DFIs) were also functional in the country. The total number of banks branches with year-on-year growth 4.7 percent reached to 14,970 from 14,293. Among the total banks’ branches 13,908 were of scheduled banks and 1,062 were of microfinance banks branches and 94 branches were working in foreign countries. The total number of installed ATMs reached to 14,019 from 12,689 of previous year depicted a growth of 11.5 percent. These ATMs have been installed by 32 banks. ATMs are still playing a central role in the broad context of modern banking. The wide selection of services like cash withdrawals, funds transfers, and utilities bills payments etc. have been emerged on ATM in the recent years. Despite the availability of wide range of services on ATMs, cash withdrawals still has the highest volume and value of truncations. During the year FY18, ATMs processed 470.6 million transactions amounting to Rs5.5 trillion. These transactions showed a year-on-year growth of 18.3 percent by volume and 21.6 percent by value respectively. However, the total number of point of sale machines showed an annual decline of 1.8 percent and reached to 53,511 from 54,490 last year. The number of payment cards issued in Pakistan reached 40.9 million in June, 2018 from 36.6 million in end of June, 2017. These cards showed a growth of 11.7 percent compared to previous year. The e-Banking channels -- real time online branches (RTOB), ATMs, e-commerce, internet, mobile phone and call centers/ IVR banking collectively processed 756.4 million transactions of value Rs47.4 trillion. These transactions showed significant growth of 20.9 percent and 27.8 percent in both volume and value of transactions compared to previous year. The SBP said the overall payment infrastructure of the country was stable resulting in the smooth and successful processing of payment transactions in various payment streams.